We’d love your help. Let us know what’s wrong with this preview of Jordan by Bradley Mayhew. Ancient cities, desert landscapes and the most intriguing sea in the world: Lonely Planet's Jordan covers them all. But venture beyond Petra, Wadi Rum and the Dead Sea for activities coverage you won't find in any other guidebook. Hiking, scrambling, rock climbing, camel trekking, 4WD excursions - there's more adventure here than Lawrence of Arabia had time for. Petra In D Ancient cities, desert landscapes and the most intriguing sea in the world: Lonely Planet's Jordan covers them all. But venture beyond Petra, Wadi Rum and the Dead Sea for activities coverage you won't find in any other guidebook. Hiking, scrambling, rock climbing, camel trekking, 4WD excursions - there's more adventure here than Lawrence of Arabia had time for. Relax like Cleopatra and Herod the Great, who knew a great Dead Sea spa treatment when they saw it. To ask other readers questions about Jordan, please sign up. Get the newly released updated copy! The prices here are way off. Also, I feel like the authors barely got below the surface in presenting Amman. Another complaint, several maps and explanations on how to get places are quite vague (e.g., Iraq al-Amir). Onthe positive side, the introduction is solid and the vocabulary section in the back of the book provides a good starting point for those with little or no arabic language. 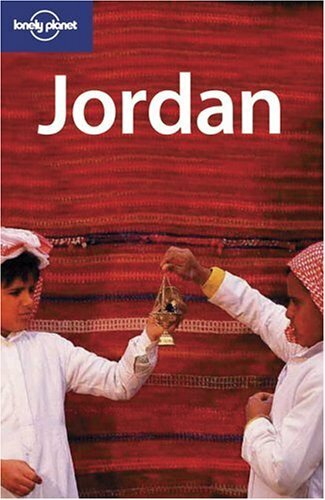 This is a good guide book for cheap travel in Jordan. Would like to get a hold of the newer version, but this is good. Also has great maps for a country where maps are virtually unheard-of.